Back in 2008, as some may remember, French company Lisa Airplanes and Danish Yachts announced a partnership at the Monaco Yacht Show. This year, Lisa Airplanes presented its amphibious light airplane, the Akoya, at EAA AirVenture Oshkosh July 23-29. EAA AirVenture is the largest air show in the world and is the first time the Akoya has landed on US shores. The Akoya features wings that are able to individually rotate aft on the airplane, providing easy stowage on the deck of a superyacht. The lightweight Akoya is able to take off and land on water by using a specially designed hydrofoil system. 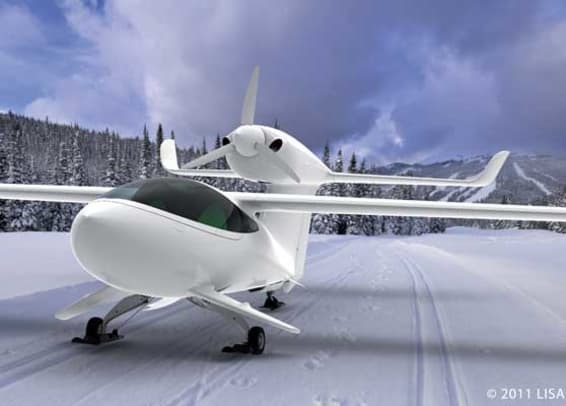 It can also take off from snow or dry land then land on water or vice versa thanks to the retractable landing gear equipped with skis and needs less than 650 feet (200m) to land. 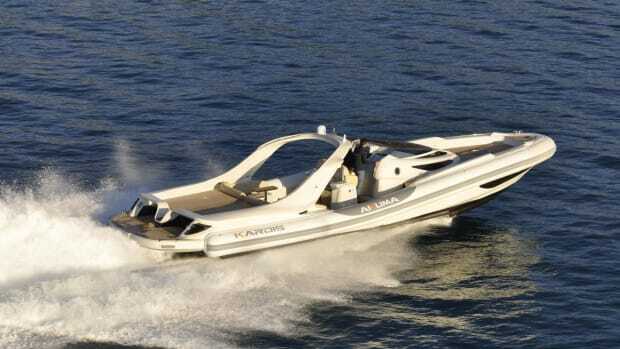 The aircraft features a top speed of 135 knots (155mph/249 km/h) and a range of over 1,250 miles (2000km) due to the Akoya’s fuel consumption of 42mpg (5.6L/100km). Orders are now being taken for delivery in the United States in 2014. To see more photos, see the slideshow at the bottom of the page. 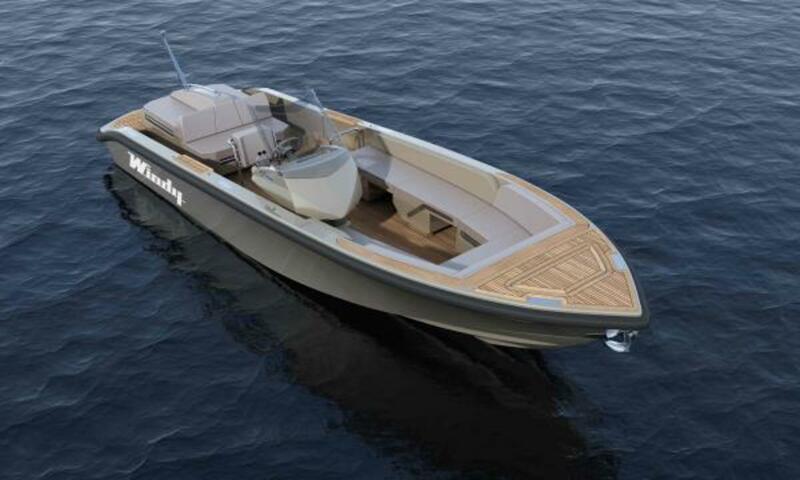 Sweden’s Rupert Marine has delivered a 50-foot RIB as a tender to the 100-foot Wally sailing yacht Indio. 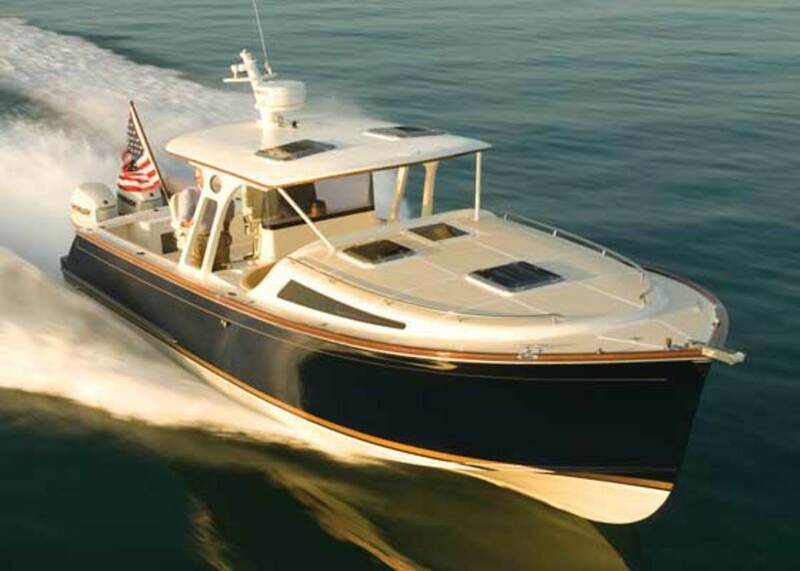 The 50-foot tender, Indi Jones, is based on the Rupert 50 Wheel House and customized to the buyer’s specifications. 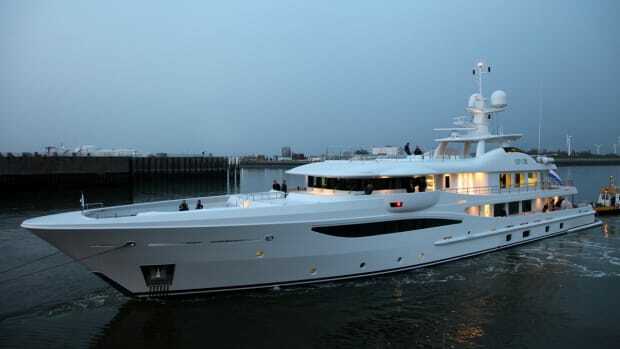 Indi Jones is built according to yacht standards and is color-coded to match the mothership. 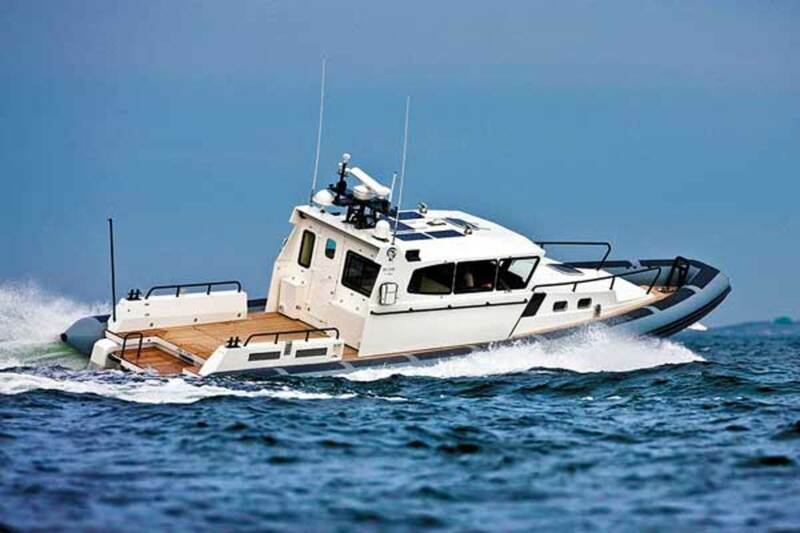 The tender is equipped with an advanced navigation system, full air conditioning, water maker, ice maker and all the amenities expected on a tender of this class. To assist S/Y Indio, there is also an integrated fuel transfer station on the aft platform. 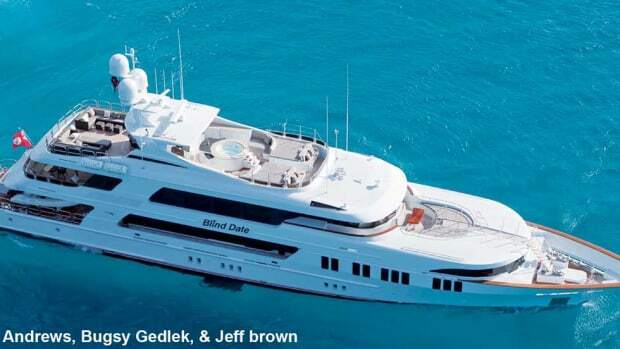 The large workspace on aft deck can easily be converted to a big sun bed or nice lounge area with a retractable sunshade. Twin MAN 800hp engines coupled to a pair of Rolls Royce/Kamewa water jets gives the tender a speed range of 45 to 49 knots. The new steering system, ROCCS from Rolls Royce/Kamewa, assists maneuvering. 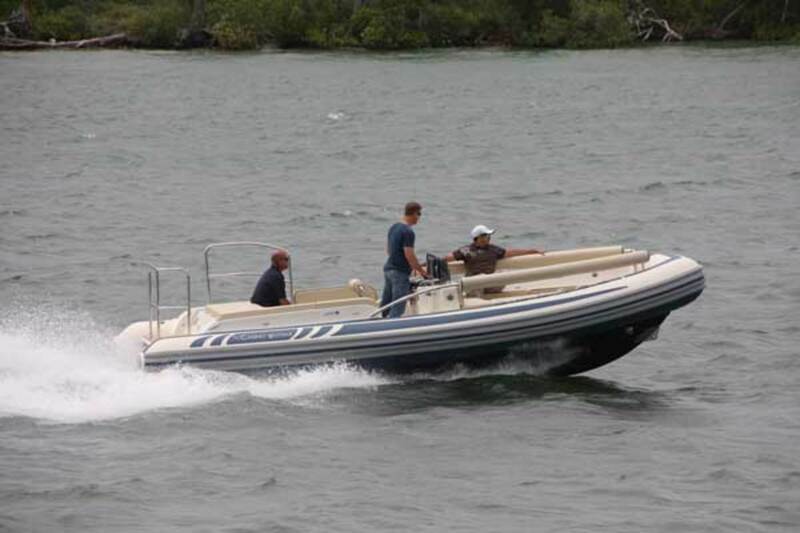 Tight turns are comfortable with the trim tabs integrated in the steering. 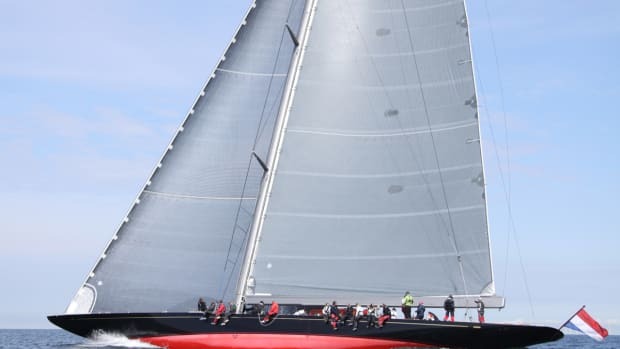 Indi Jones is on her way to Newport, R.I., to assist Indio in the Newport Bucket regatta in August. 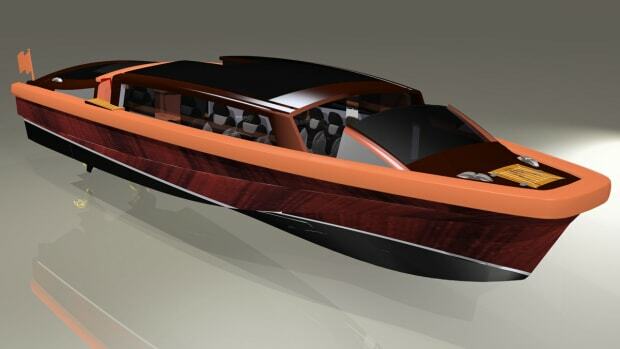 Windy Scandinavia AB of Västervik, Sweden, has announced it will start production on an 8-meter (26-foot, 2-inch) superyacht tender based upon a design brief from Spain’s EYOS Tenders. 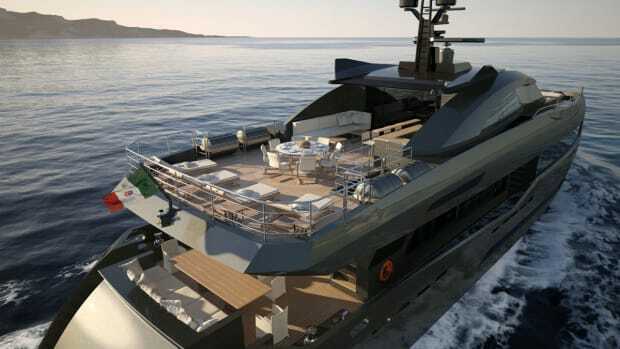 The builder says the boat, styled by Eidsgaard Design, will be the first major tender designed from day one to meet the needs of the superyacht market. 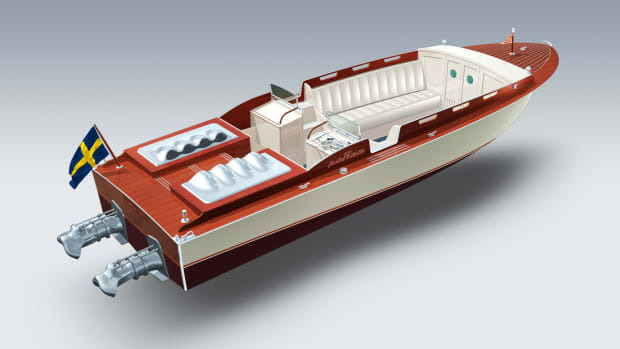 The tender, with a single diesel engine and outdrive, has been designed to maximize a yacht’s garage space by having a folding console to keep it below 1.5 meters (5 feet) in height while still maintaining a high freeboard to ensure a dry ride. Many optional extras are included in the base price, such as a forward spray hood, onboard shower, hose points in the forward locker for washing down the boat, underwater LED lights at the transom and lollipop boarding poles. An adaptable seating arrangement can carry up to 12 passengers. Both companies said that they will be working on a jet model and further size options in the near future. Hull Nos. One to Three are already sold, but hull No. Four is now available. 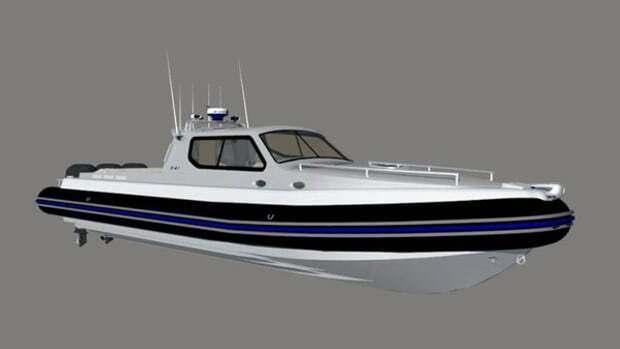 The boat will be exclusively available from EYOS Tenders. Marlow Yachts is a well-known brand, but some likely still haven’t heard about the Marlow Explorer’s little sisters, the Prowler 375 Classic, Open, and Havana. All three designs come it at 37 feet, 6 inches (11.46-meters) and feature Full Stack Infusion hulls—a proprietary building method that combines carbon, Kevlar, and biaxial fabrics to produce a sturdy, long-lasting monocoque structure. Despite the divergent looks of the main decks (the Havana is a center console design, the Open sports a hardtop with a windscreen and the Classic has the look of a mini-Marlow Explorer), all three offer a long list of luxuries and amenities. All three Prowler models sleep at least two and the Open and Classic 375s both come equipped with full galleys. The boats also employ Marlow’s weight-saving techniques like using Corecell instead of plywood to build the cabinetry. This means that with either the standard Yanmar engine package (multiple options are available), the boats top out between 27 and 29 knots and cruise around 23 knots. 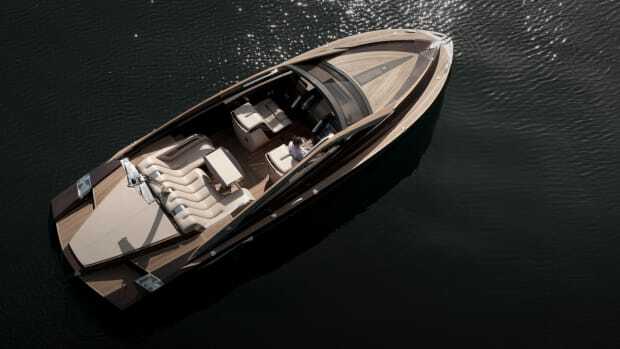 Luxury RIB maker Novurania has recently updated its Launch700 with a new deck and seating configuration meant to enhance passenger space and comfort. Thanks to input from owners and crew, Novurania’s design team extended the bow side seating and back rests all the way to the steering console, giving up to eight guests plenty of space to relax. The port bench seat joins with forward facing seating attached to the steering console in an L-shaped configuration, a feature only possible because of the shifted position of the console. Now set flush against the port side of the boat, the new console arrangement also allows a boarding step on the starboard side equipped with handholds for added safety. The console itself holds a large navigation screen and instrument panel and, to save space, has only a simple leaning bolster behind. This bolster leaves plenty of space for additional seating aft for a party of five. At the rear of the boat is a swim platform with additional safety rails, which also acts as a second exit/entry point in the tender. 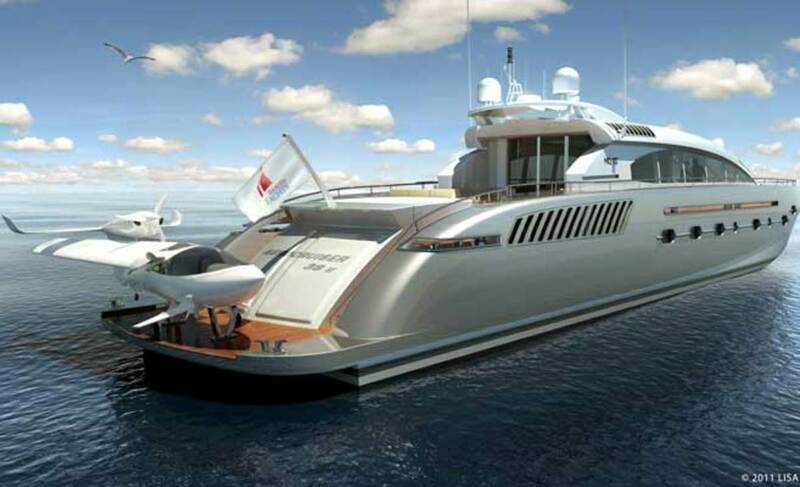 At 7 meters (23 feet) overall, there are various engine options that can power this exciting boat.